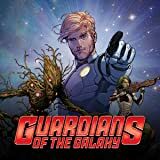 Collects Guardians of the Galaxy (2013) #14-17, Free Comic Book Day 2014 (Guardians Of The Galaxy) 1, Amazing Spider-Man #654 (B story), Captain Marvel (2012) #1. With the entire galaxy gunning for the Guardians and Star-Lord missing, its time to bring in a little help. 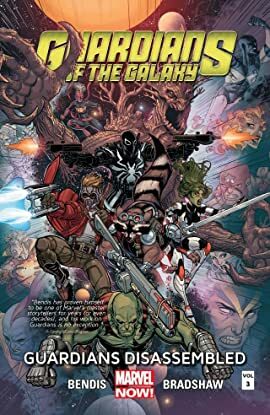 But as the Guardians of the Galaxy get ready for new members Venom and Captain Marvel, unexpected dangers arise that promise to tear the team to its core! Where in the universe is Star-Lord? What does his disappearance mean for Earth's safety? And can he survive on the run from a mysterious new adversary without the aid of the Guardians? Plus: The Guardians of the Galaxy investigate the mystery of a S.H.I.E.L.D. Helicarrier that suddenly appears in outer space!